The summer of 2018 has been a time of high activity for the NFP. With the party gearing up for a new generation of campaigns and some old favorite tactics, a lot has been done in these last few months. Two new rounds of postering have begun in two different states and new findings on local socialist groups there is a lot to pack in. As summer kicked in, operators in Indiana noticed an interesting tone shift. As college let out, and students went home, distribution of nearly all anarchist and socialists propaganda dropped to a near zero. We will let the reader draw their own conclusions as to the occupations and true residency of these "local," "grassroots" organizers. With the biggest nuisances to our activities gone, operations in our area ramped up dramatically. 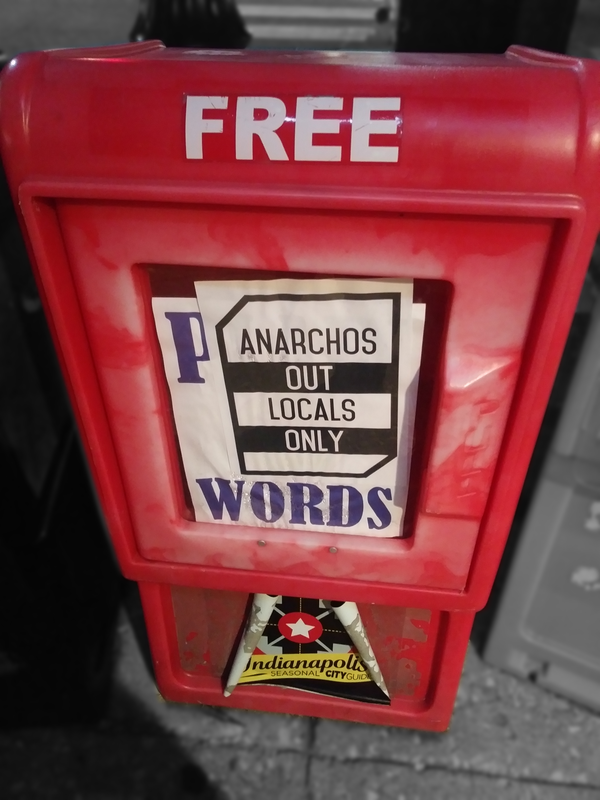 We immediately dumped several anarchist zines to allow for the actual newspapers to distribute again. 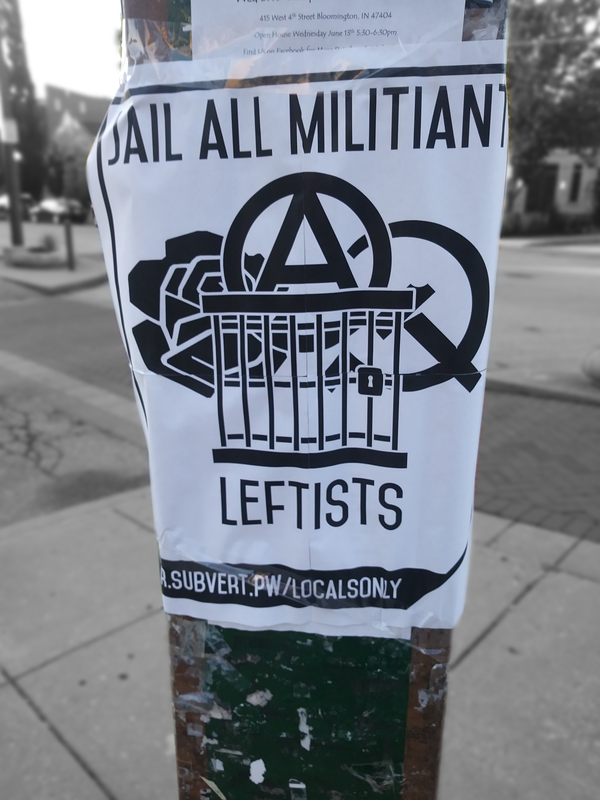 As the remaining local anarchists prepared for their "day against oblivion," protesting the imprisonment of radical left wing terrorists, NFP operators taunted them by placing up posters reading "jail all militant leftists." In another attempt to maintain relevance with their support base gone, the local socialists held an anti-ICE protest on the 27th. While they claimed to have had 40 people in attendance, party agents noted only 10 people. 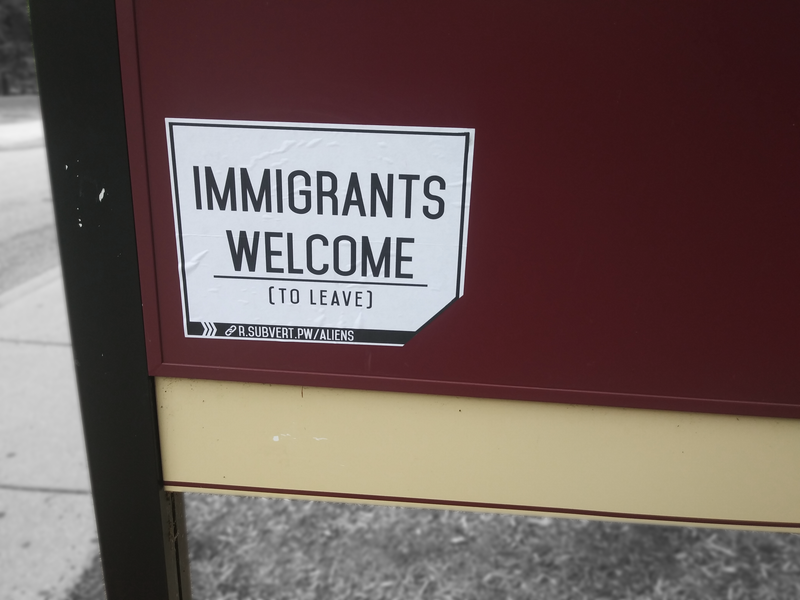 Taunting them with their failures, the NFP put up posters in the area reading "Immigrants welcome (to leave)" capturing the ire of the socialists. While researching the local socialists, NFP analysts noticed something interesting. The below picture is of an "IU class of 2022" twitter account. Notice anything strange? Not a single tweet they seem to send out has anything to do with IU. Instead they seem to only post about how good socialism is or how to attend the next big ICE protest. This isn't the only place they seem to be flooding. Several of the IU class of 2022 facebook pages have been spammed with invites to various events and links to socialist news sites. This underhanded technique of baiting and switching is an excellent example of the desperate lengths the DSA and its associates take to draw in support for their dishonest causes. Without these deceptive recruitment ploys, they would bleed themselves dry. Most students don't care about these causes, nor wish to associate with such people The Socialists are weak, and they know it. Looking to expand our influence, the NFP has decided to target a new state and a new major university. Recently one of our members at University of Michigan decided to do a postering run around the heavily liberal Ann Arbor area to test the waters. The overall campaign was not conducted on a large scale but found notable success, despite only a handful of posters being put up. We have demonstrated an impressive capability to branch out to other states and expand. After the run, we acquired new members from the Michigan area, willing to contribute to launch larger, and more impactful operations. Expanding into both economic divisions of industry and geographic regions of America are paramount to us. 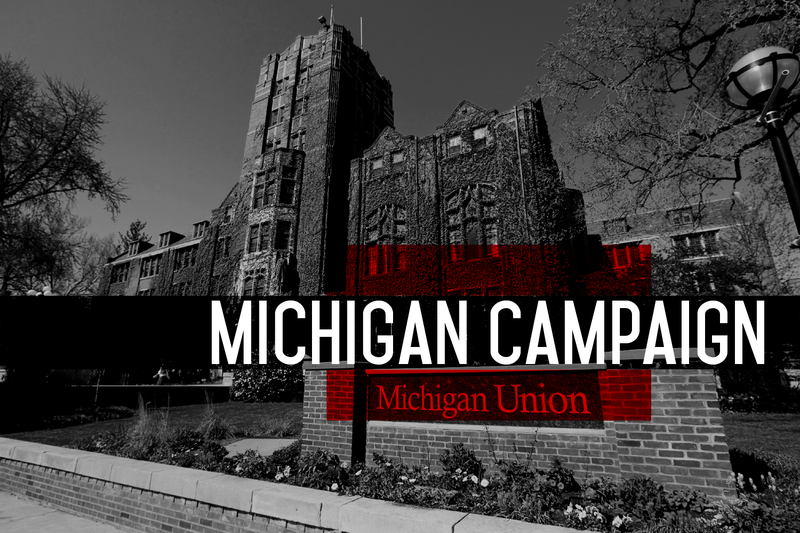 Our overall impression of the MI campaign is nothing but positive.